If you live with teenagers, you know that they can be obsessed with vampires, zombies, ghosts and the living un-dead. So, why not explore the Finger Lakes with that in mind? 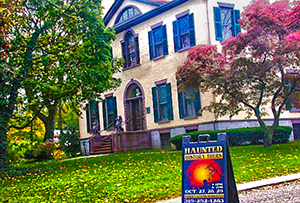 The Finger Lakes has plenty of bone chilling history to investigate with the new Haunted History Trail of New York State. Make us your favorite family haunt by including some of the paranormal with your visit! It will make your trip much more enjoyable for the entire family. My 14-year old and I have watched “Abraham Lincoln: Vampire Hunter” 3 times now. We chuckle each time as we think we have a pretty good understanding of the real story of Abe Lincoln and the Civil War. Auburn, History’s Hometown, is the turf of prominent member of Lincoln&apos;s Cabinet, William H. Seward. Seward served a Lincoln’s Secretary of State; the two men had a very solid friendship. We visit the Seward House Museum often for First Fridays and other events along with a tour to refresh our memories. A visit to the Seward House Museum on South Street in Auburn will dispel any idea of vampires in that particular house while the reality of ghosts might just scare up some entertainment. Until just a bit over 55 years ago, only members of the Seward family lived in the mansion for almost 150 years. All of their worldly possessions were stored in the bedrooms and attic. I am sure there are some good secrets hidden there. Stop at Fort Hill Cemetery, For t Street to see the grave sites of the Seward Family; Miles Keogh who was at Custer’s Last Stand and the name sake of the annual Great Race, a triathlon held the second weekend in August; and many foundlings from the orphanage who died during the great Influenza epidemic of 1917 which wiped out 100,000’s across the nation along with the tall stone obelisk monument to Chief Logan, the great Iroquois orator. In the far western edge of the plots, look for a tall pine tree. Under it, you will find The Moses of Her People, Harriet Tubman, laid to rest. 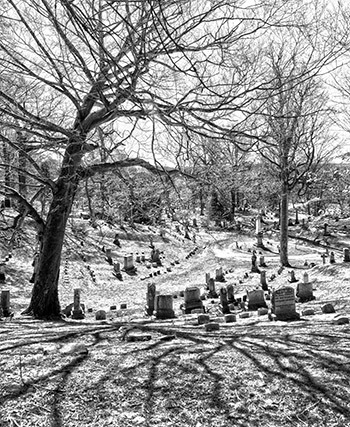 Wander through the Victorian cemetery and you never know what - or who you will find. Explore the Cayuga Museum of History and Art to see a re-created prison cell from the historic Auburn State prison which opened in 1816. Famous inmates include Leon Czolgosz, assassin of President William McKinley who was electrocuted on October 29, 1901; Robert Chambers, the “preppy” murderer and Chester Gillette, also electrocuted in 1908 for the murder of Grace Brown. Then, drive past the imposing walls of the prison and look for Copper John standing on the peak of the front gates. Movies to watch before you visit the Finger Lakes which could make your trip more fun – and can I say educational - for everyone include “Lincoln” based on the novel by Doris Kearns Goodwin, “Team of Rivals”; “A Woman Called Harriet” which looks at the heroic measures of one woman to free slaves; and for a probing aspect about the early Jesuit missionaries with the Huron and Iroquois, “Black Robe”. I can’t promise that there will be zombies wandering the streets, but maybe you can convince your teenager that real history can be fun in the Finger Lakes.